Update 2: EA has confirmed that the game will instead release tomorrow, December 5. Update: Developer EA Dice has postponed the launch of the Chapter 1: Overture update, and as of the time of this writing – 18 hours after the delay – the company has not announced any further timing details. This week mark's the opening salvo of Battlefield V's Tides of War live service campaign. Called Overture, the first chapter has a few notable components. The new single-player war story mission, The Last Tiger, centers on a German tank driver facing bad odds when the Yanks roll into Nazi territory. 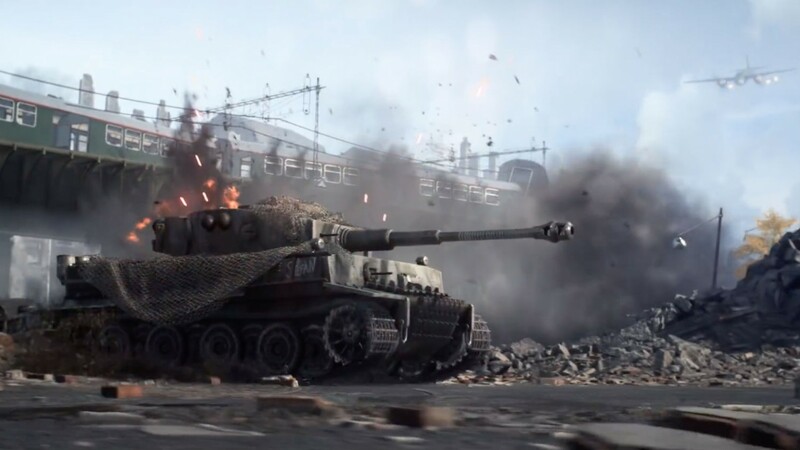 On the multiplayer side, tank drivers can look forward to the vehicle-focused map called Panzerstorm, which is set in the open fields of Belgium. Overture also includes a practice range so you can test out weapons/vehicles and delivers a slew of new assignments, weapons, and cosmetics to unlock. This includes vehicle customization, which was conspicuously missing from the game at launch. The content drop comes alongside an update that fixes some issues players found in the early weeks of action. Medics will benefit from a buff to SMGs that make them more effective at range, and DICE plans to involve the community to find the sweet spot in the time-to-kill/time-to-death debate. You can dive into the Tides of War content Tuesday, December 4 on all platforms.